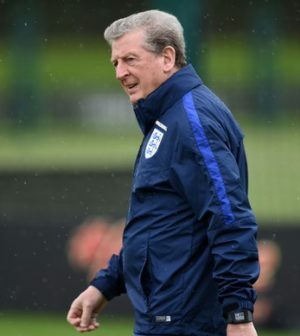 Home > Uncategorised > Do Roy Hodgson’s England have what it takes to win the Euros this summer? Do Roy Hodgson’s England have what it takes to win the Euros this summer? This summer, England will travel to France for the European Championship knowing that their only major win occurred exactly fifty years ago. Roy Hodgson has urged his side to take inspiration from the World Cup-winning heroes of 1966 but only time will tell as the Three Lions seek a second major international title. In their most recent warm-up match, England defeated a spirited Turkey side 2-1 courtesy of goals from Harry Kane and Jamie Vardy. If the Three Lions are to stand any chance of winning this summer’s competition, Hodgson must include both men in his starting line-up – whether Vardy lines up alongside Kane or in a wider role. Kane was this season’s Premier League Golden Boot winner and Vardy wasn’t too far behind in joint-second with Manchester City forward Sergio Aguero. England are blessed to have two huge talents in attack and it would be foolish of Hodgson to leave one of his star men on the substitute’s bench this summer. At the time of writing, England are priced at 8/1 in Coral’s Euro 2016 betting tips to win the tournament and it would take a brave man to back against Hodgson’s men. After all, their come-from-behind victory over Germany in Berlin earlier this year showed their mettle and England may finally be ready to step up to the plate on the big stage. Defensively, England aren’t as reliable as they once were and Europe’s elite nations will fancy their chances against Hodgson’s suspect back four. While Nathaniel Clyne and Danny Rose are both fairly solid, Chris Smalling and Gary Cahill can be caught napping and England’s central defenders will have to remain fully focused for the entire competition if the Three Lions are to stand any chance of success. On current form, Hodgson’s side have a great chance but the England boss must get both his tactics and squad selection spot on. He cannot afford to pick players on name, they MUST be selected on merit. The likes of Raheem Sterling, Jack Wilshere and even captain Wayne Rooney are all fighting for their spot in Hodgson’s 11 and the Three Lions manager must stay calm when deciding which players to start in England’s opener against Russia. England have plenty of quality in their ranks and this may be Hodgson’s final swansong at the helm. There are certainly no excuses for the Three Lions to fail at the first hurdle again. In fact, Coral’s Euro 2016 news coverage and Euro 2016 betting tips show that England are 5/6 to advance to the last-16 as Group B winners and Hodgson’s men will be confident of toppling Russia, Wales and Slovakia this summer. The Football Week brings you all the latest football news from around the globe.